Architect Simon Breines speaks about the founding and early life of the New York Landmarks Conservancy. People: Kent Barwick, Brendan Gill, Joan K. Davidson, Whitney North Seymour Sr., William Zeckendorff Jr. Founder of the New York Landmarks Conservancy, architect Simon Breines was interviewed by architect and preservationist Roger Lang, just three months before Breines’s death. In this interview, Breines details the creation of the New York Landmarks Conservancy. Initially conceived as an offshoot of the Municipal Art Society, the Conservancy was established as an independent organization in 1965. 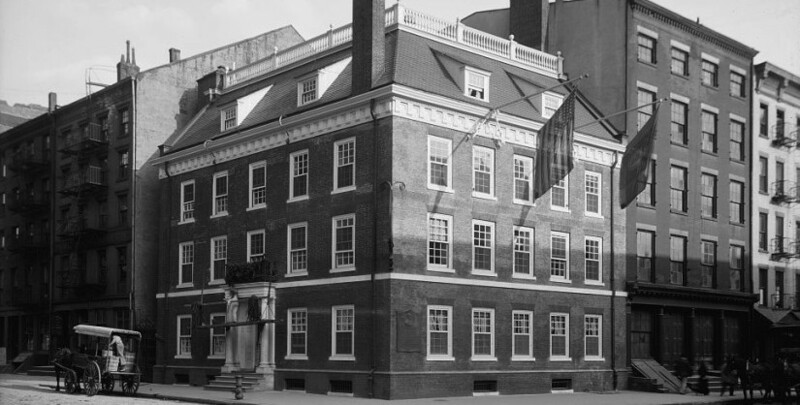 Besides telling the story of the Conservancy’s founding, Breines speaks about two of its early projects, in which it temporarily acquired ownership of the Fraunces Tavern block and the Archives Building. He also recounts anecdotes concerning several figures in preservation history, including Albert S. Bard.